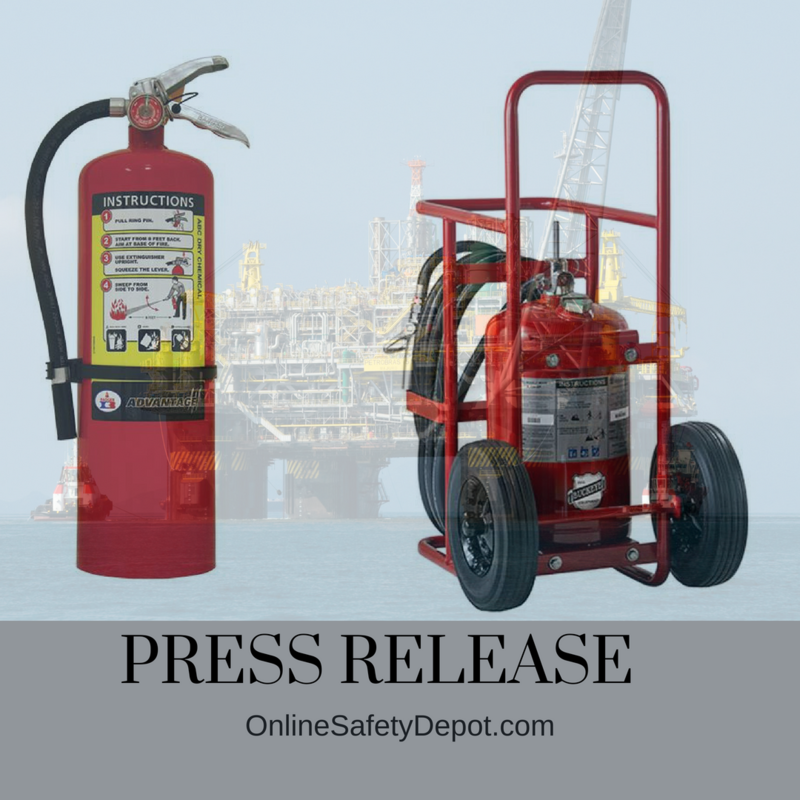 OnlinesafetyDepot.com is pleased to announce that we now offer Buckeye Offshore Portable and Wheeled Fire Extinguishers. These rugged and dependable fire extinguishers are manufactured to meet DOT and Transport Canada requirements and UL’s rigorous standards for industrial and commercial hazard and fire protection. Perfect for all marine, ship doc, and offshore facilities providing the added protection needed for the unique environmental combination of water, salt, and sun. As one of the foremost recognized and trusted companies in the fire safety industry, Buckeye has earned the prestigious ISO 9001-2008 Quality Certification for its consistent development and manufacture of high quality fire safety products that meet customer demands and satisfaction and regulatory requirements through their effective application of their quality management system. As a company, we are committed to improving our relationship with and service to our customers and will continue to strive to improve the quality and reach of our product line. Next post: Revolutionary and Award-Winning Safety Hard Hat with Crashbox Technology for maximum protection and comfort.